With his back to the windows of a conference room overlooking a gorgeous view of San Francisco’s Presidio National Park, just a few blocks from where the Bay Area native went to middle school, Dudum is explaining how his comfort with delicate subjects ended up making him the perfect choice to build a company predicated on catering to and consoling two of men’s deepest insecurities — their fears of hair loss and erectile dysfunction. You’ve almost certainly seen ads for Hims in the past year. They’ve been everywhere, from Instagram to Monday Night Football, often featuring gorgeously handsome young men glowing with health but also executing a set of themes — a slumping cactus, a saggy eggplant, phrases like “hard made easy” — that make you wonder, Are they suggesting what I think they are suggesting? It’s a puzzler — until you pose the question to Hims’ battalion of female executives and immediately find yourself deep in discussion about one of the great banes of womankind: urinary tract infections. And suddenly, everything makes sense. Identifying a potential market was just the starting point. 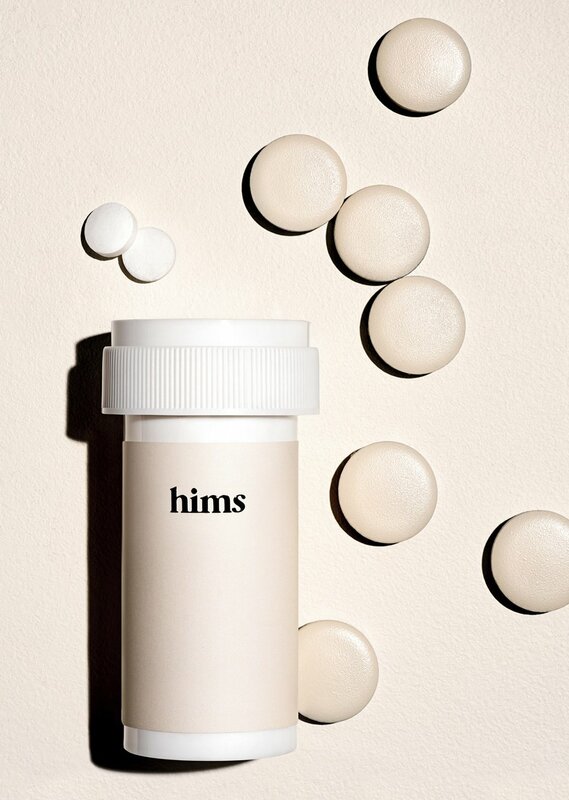 Hims’ basic business model also takes advantage of two relatively recent developments that have opened up huge opportunities in the world of direct-to-consumer healthcare. Changes in state telemedicine laws now allow customers across the U.S. to obtain prescription medicine without physically going to a doctor. Meanwhile, a handful of powerhouse drugs — Viagra, Rogaine, Propecia — are now available in cheap, generic form. Suddenly, a man looking for help doesn’t need to go to the doctor and answer a bunch of embarrassing questions. From the comfort of his iPhone, he can sign up with Hims and, pending approval by a physician within the company’s network, get a kit of drugs (“packaged and designed in such a way that you would be proud to have them out in your bathroom,” says Dudum) mailed to his door every month for rock-bottom prices ($5 a month for hair-loss drugs, $30 for 10 ED pills). When Hims launched, its executives took stock of what needed the most attention. Because it was piggybacking off the generics market, Hims didn’t have to pour obscene amounts of cash into drug R&D or complicated distribution. Sure, there were operational challenges — as chief product and operations officer Melissa Baird points out, managing telemedicine compliance laws that vary from state to state can be a nightmare — but the brand’s first priority had to be consumer-focused. It needed to strike exactly the right tone in a multichannel marketing blitzkrieg, while at the same time loading up on exquisitely sensitive customer support. After all, when young men ask questions about ED drugs, they tend to get a little nervous. So almost immediately after launch, Hims made sure it was everywhere — popping up on Facebook, Instagram, Twitter, and your TV. Dudum says he set the tone for its marketing but worked closely with Hilary Coles, brand lead for Hims and Hers, to ensure it never crossed over from funny to off-putting. They also backed up their gut reactions with relentless AB testing, focus groups, and constant attention to feedback. Once a consumer received their first dose of we’re-here-to-help-you-have-fun innuendo, they figured, brand awareness would stick. There is an intriguing implication behind Green’s analysis. 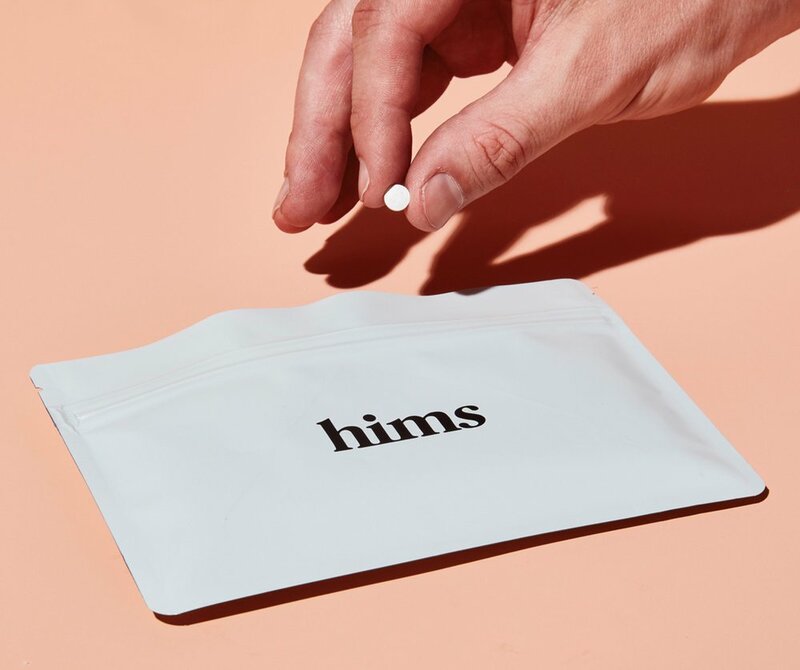 If the quality of customer experience is the ultimate trump card, then Hims’ success doesn’t rely upon the structural idiosyncrasies of the men’s wellness market or the new opportunities presented by telemedicine or off-patent drugs. The real trick is executing consistently at a moving target — giving consumers a sublime experience in an environment in which they are always expecting more. Friendly price points, stylish “unboxing” experiences, immediate gratification — you can have the best business idea in the world, but if you can’t solve the alchemy of ever-more demanding customer expectations, you won’t build long-term customer relationships. 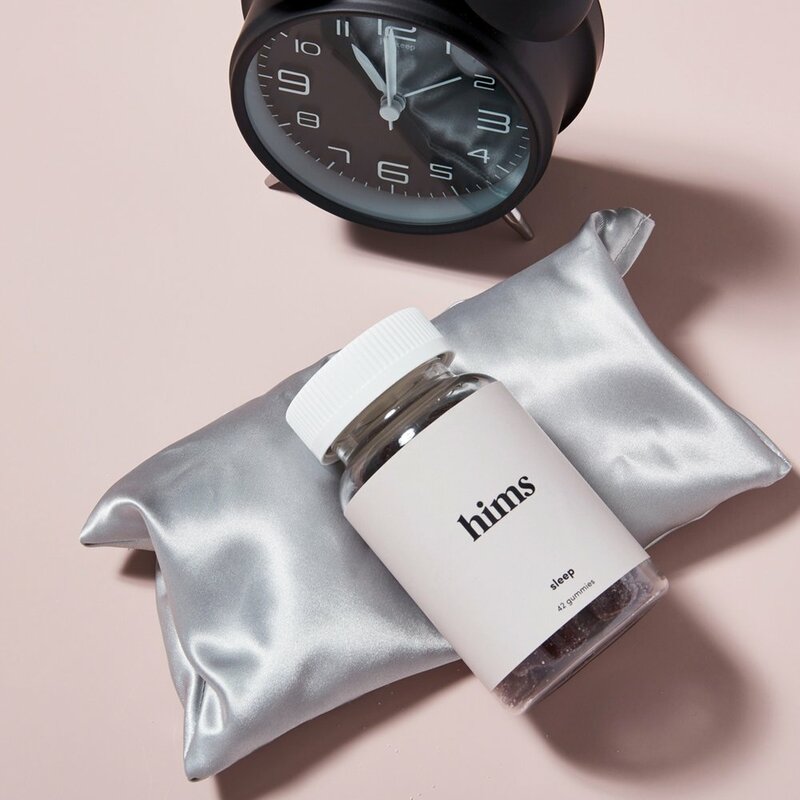 In November 2018, just one year after going after the men’s wellness markets, Hims launched a spin-off brand called Hers and started chasing women — which is a little bit like Napoleon deciding to invade Russia after conquering Luxembourg. In large part, it’s a decision based on necessity. Competition isn’t far behind. The newly off-patent drugs and changes in telemedicine laws have inspired a rush of startups — Keeps is targeting hair loss; Roman and Lemonaid Health are going after erectile dysfunction; Nurx and Maven are targeting birth control and other aspects of women’s health; and in June 2018, in a move that jolted the entire retail pharmaceutical industry, Amazon purchased the online pharmacy PillPack. Bottom line: To execute on his goal of building a really big company, Dudum would have to move fast. But there seems something to be said for the simple, low-cost gratification of treating awkward human needs with humor and relentless attention to customer service. Crack that code and a brand’s potential is unlimited — for both men and women, and anything in between.